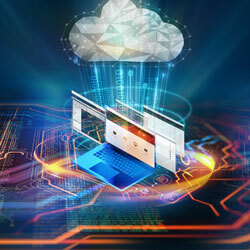 Cadence Design Systems has announced the availability of the new Cadence CloudBurst Platform for hybrid cloud environments, offering clients with fast and easy access to pre-installed company design tools in a ready-to-use cloud environment created on either AWS or Microsoft Azure. The new platform is the newest addition to the Cadence Cloud portfolio, and this sustained innovation further improves the company’s leadership position in cloud-based providings for semiconductor and electronic system design. The platform allows companies of all sizes to develop upon the standard benefits of the broader portfolio – improved productivity, scalability, security and flexibility – with a deployment option that produces a hybrid cloud environment in just a day or two after initial purchase versus the typical timeframes for internally offered cloud solutions that can take weeks to deploy. It provides customers with a production-proven, Cadence-managed environment for compute-intensive EDA workloads with no tool installation or cloud set-up needed so that engineers can stay focused on completing crucial revenue-generating design projects.